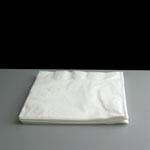 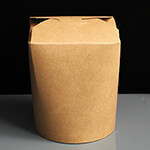 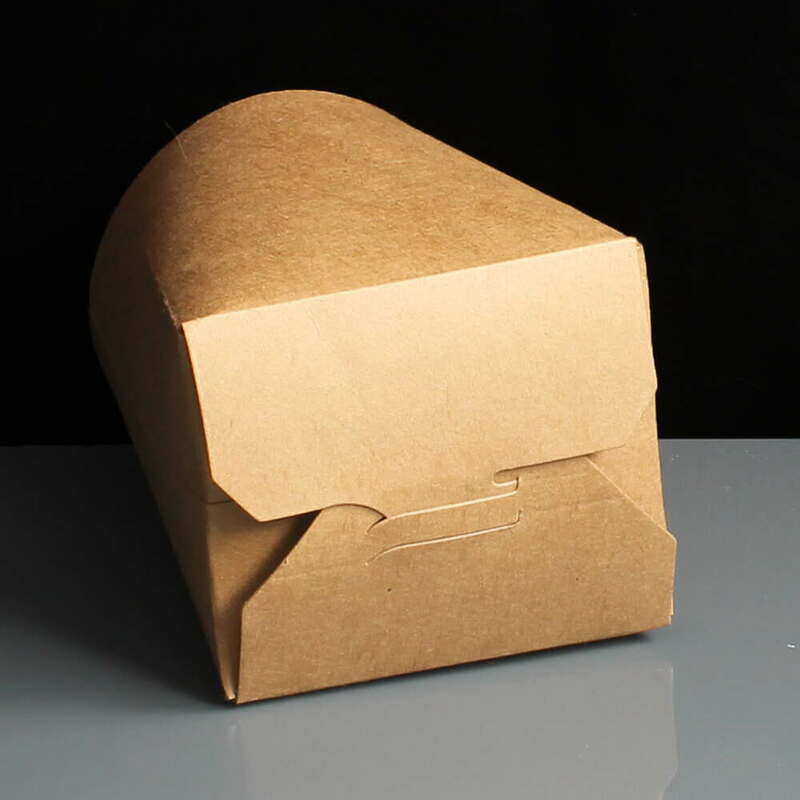 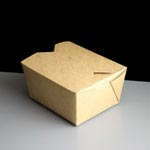 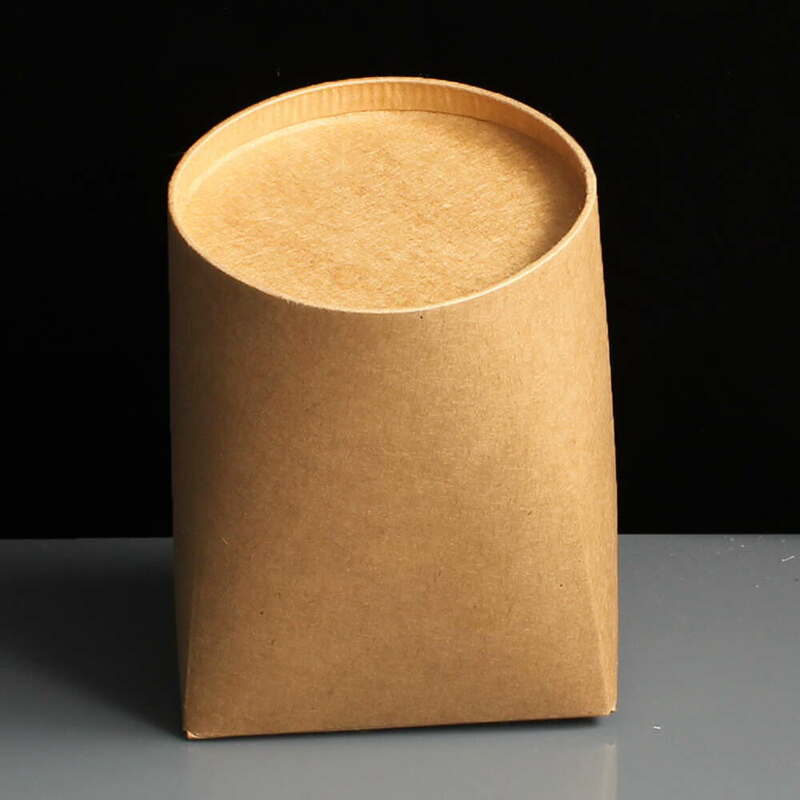 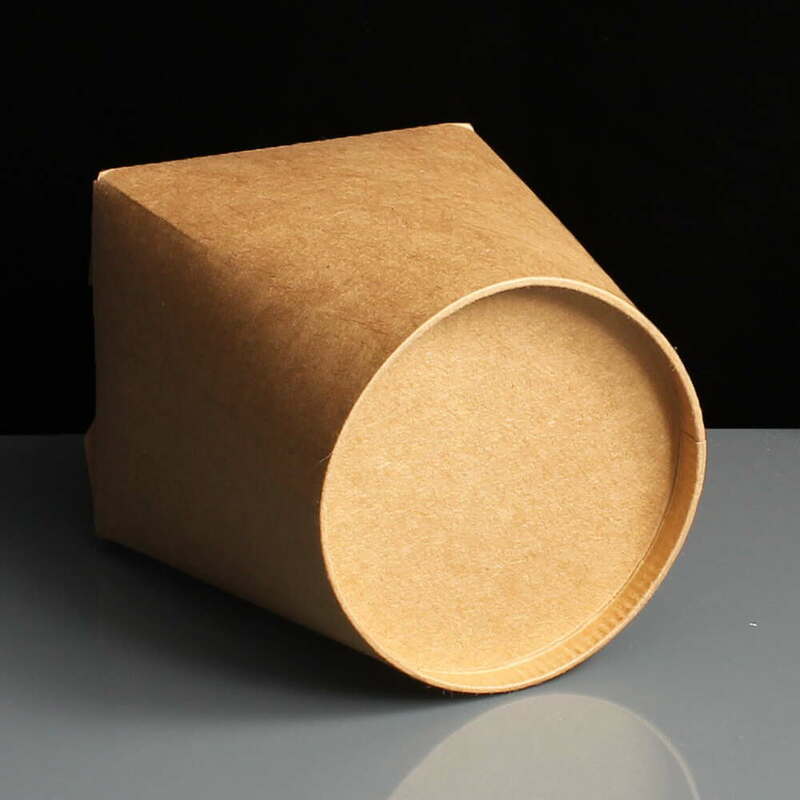 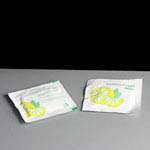 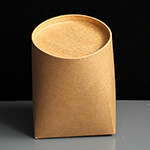 A biodegradable small brown cardboard food tub or noodle box with a folding tuck top lid. 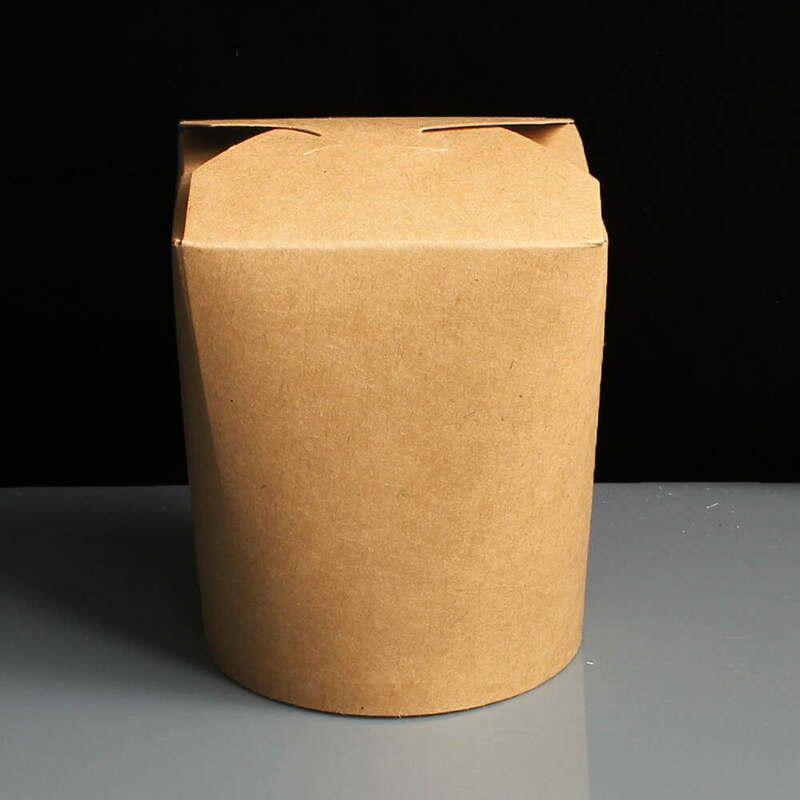 This container has a PLA lining to make them biodegradable and is suitable for chow meins, wet noodle dishes, rice and curries etc. 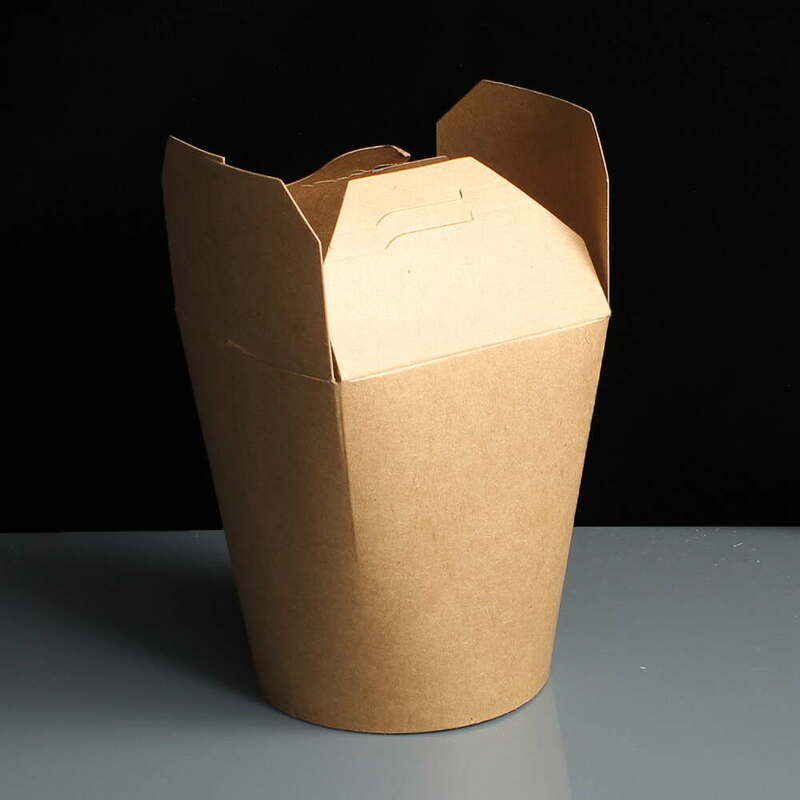 Perfect for noodle bars, Chinese and Thai restaurants. 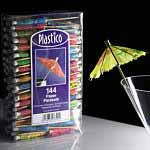 Approximate capacity 16fl.oz (453ml). 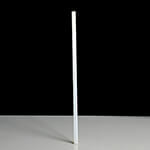 Dimensions 85mm dia, 96mm high.